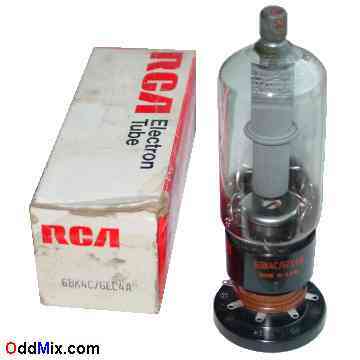 This is an original 6BK4C 6EC4A Beam Triode High Voltage 36 KV electronic tube made by RCA in Canada. This tube is designed for high-voltage low-current voltage regulator applications, usually in television [TV] receivers or RF equipments. Excellent collectible and great for antique radio or television restoration projects, experimentation with high voltage, X-Ray, circuit research or to set up a private vacuum tube museum. It is a NOS tube - New Old Stock, unused, original RCA box.